Seeds are a great snack with load of minerals and protein – essential for great health – so grab a handful of these instead of a handful of chips or pretzels when feeling peckish! 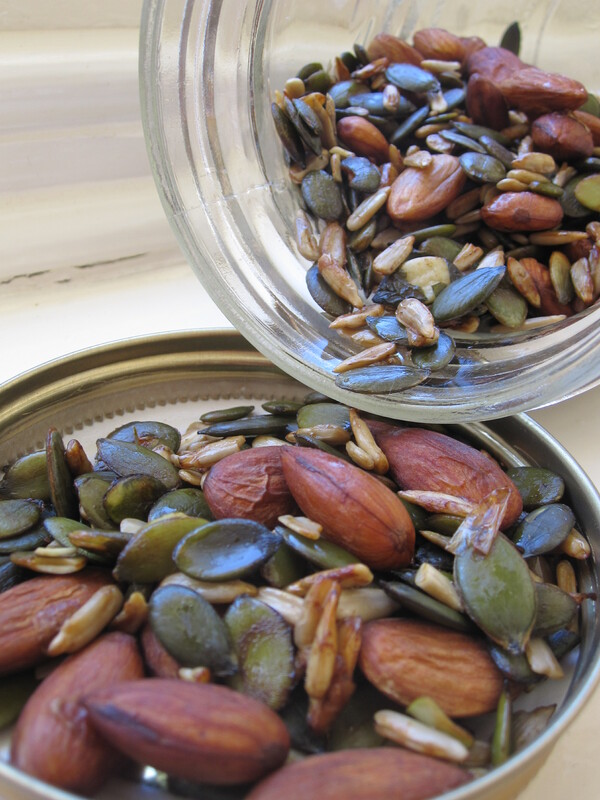 Mix your own seeds and nuts – I used sunflower kernels, pepitas and almonds but whatever you have in the cupboard is fine. Sprinkle with some Tamari sauce and mix well. Place on a lined dehydrator tray and dehydrate at 115 degrees Fahrenheit for about 24 hours – until crispy crunchy.